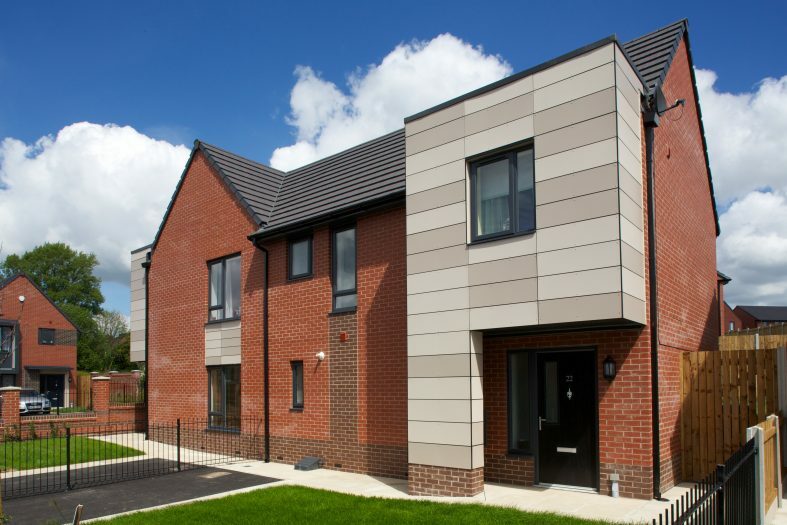 A range of CTF5 Catnic lintels have been used by Seddon in three separate social housing schemes across Bolton. Seddon insists on using only the highest quality products, and likes to be associated with high quality brands such as Catnic throughout its developments. In association with Great Places Housing Group, the first development is a £4m contract for 44 new homes in Milnthorpe Road, Bolton which was completed in spring 2014. The second development is a £10.6m contract for 114 new affordable homes over two sites in Breightmet, Bolton, as well as a £6.6m contract for 60 new homes and 10 bungalows at Waggon Road, Winchester Way and Mobberley Road, Bolton which are both expected to be completed by autumn 2014. The developments will offer the local area much-needed affordable housing, consisting of semi-detached two and three bedroom houses. 50ml cavity lintels were specified for use from the architects' drawings at the Paddock Johnson Partnership architectural practice. Each large-scale construction required a user-friendly lintel as ease of installation is essential for a consistent and reliable build. Supplied through the Farnworth branch of Civils and Lintels, special and standard cavity lintels were used for the timber frame builds. Catnic lintels feature a unique duplex corrosion protection, which ensures they have a tough, durable exterior. Used throughout all three developments in the window and door openings, some lintels were supplied with deeper cavities, to meet the demands of the unusual building envelope. Seddon offers innovative, high performing properties. It wants to support its developments with products of similar calibre to its own brand. "As a product the lintels are ideal for a development made to last. We have used them throughout these three contracts, as Catnic is a brand we trust. These developments in particular will be a great addition to the local area, as affordable housing is in high demand."